Caring for a large amount of livestock on a daily basis can be a real chore for those living in Louisiana. But it can be even more difficult for those who are forced to do it with aging barns or structures that are too small to meet their needs. These portable barns will make it easier for you to keep your livestock out of bad weather and give them the shelter they need to flourish and grow. Whether you have horses, cows, goats, sheep or some other type of livestock on your property – even alligators! 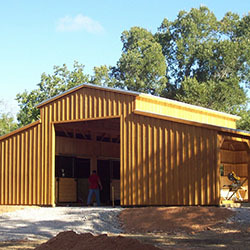 – Deer Creek Structures can create a portable barn solution for your Arkansas property and deliver it quickly to help you get the outbuilding you need to grow or sustain your livestock operations. On-site construction options for these portable barns, as well as staining and sealing services to help protect your new structure are available. 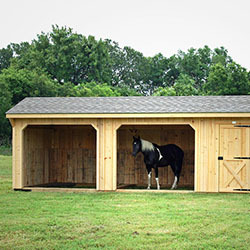 There are also a number of additional customization options to make your new Louisiana portable barn more useful. 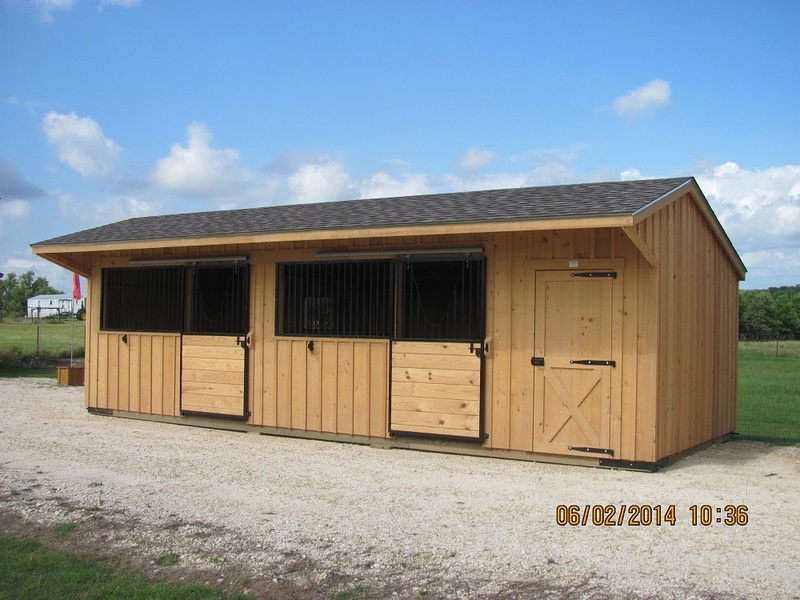 Our portable barns also have 30-year architectural shingles standard. The barns also feature kickboards and roof decking overhangs to help keep water away from the sides of the structure, and 5/8-inch plywood flooring inside the portable barns delivers a stable and durable solution underfoot. 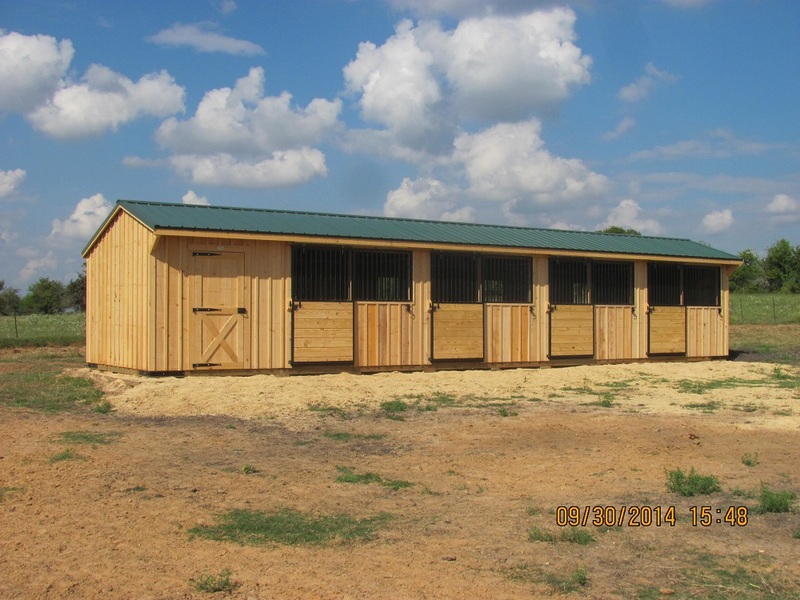 The 10-foot portable barns provide more than enough room for the livestock you keep at your Louisiana property. These 10-foot portable barns can be configured in whatever length you need – from 10 feet to 50 feet. Metal roofing, extra ventilation, additional doors and windows, and more are all available to you. When your portable barn is delivered, it will provide you and your livestock with all the extra shelter and protection you need for your Louisiana farm. For those who want a larger option when shopping for Louisiana portable barns, Deer Creek Structures also offers 12-foot portable barns. These portable barns are wider than the 10-foot options, and can also be configured in a full range of lengths, from 12 x 12 feet to 12 x 48 feet. 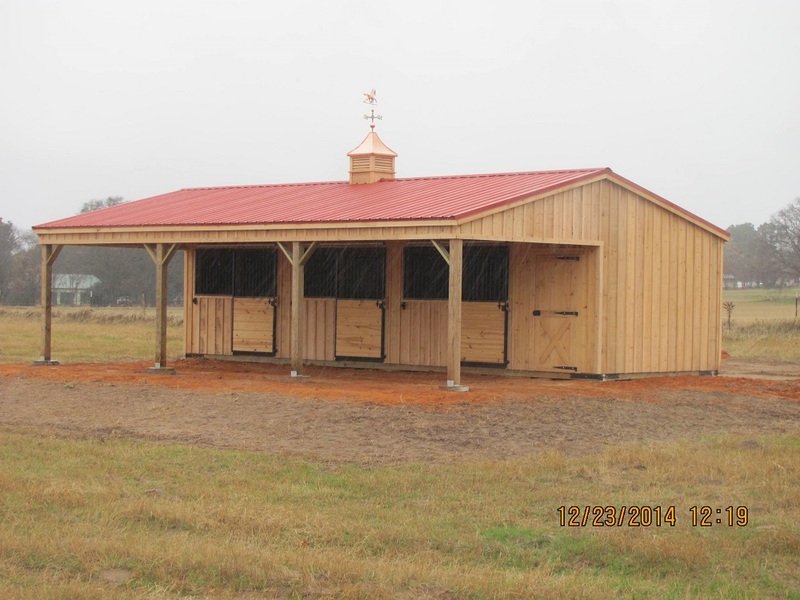 These barns offer ample additional space and protection from the elements, and are the perfect solution for anyone in Louisiana in need of extra space. The portable barns produced by Deer Creek Structures are designed to keep your livestock protected when they are inside. 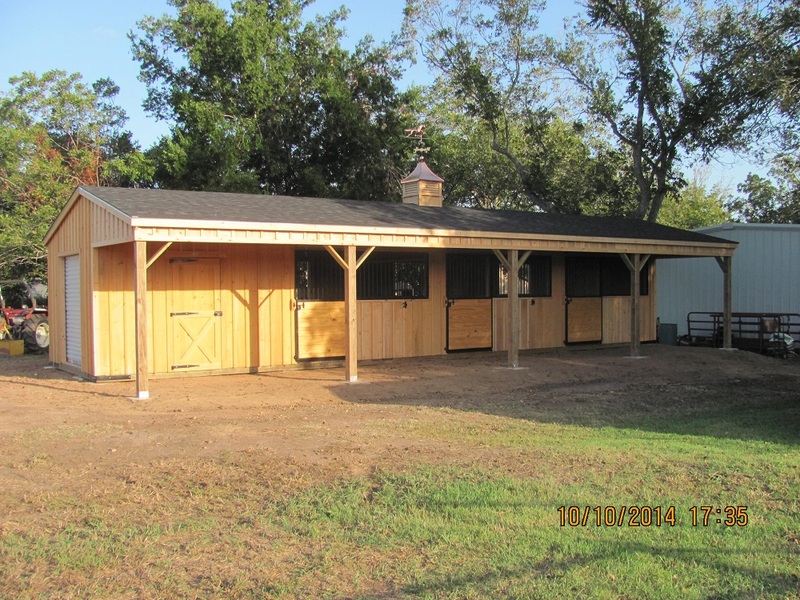 All of the Louisiana portable barns that Deer Creek Structures manufactures feature cypress board and batten siding on them that is both long-lasting and durable. Additionally, wood siding is capable of serving as insulation on portable barns, so the barn you purchase from Deer Creek Structures will stay warm in the winter and cool in the summer. Deer Creek Structures would be happy to walk you through the different portable barns that are in stock or that can be custom-built to meet your needs. Call 254-546-2276 to find out how to place an order and have your new portable barn delivered in just a matter of weeks. Check What Sizes are On The Lot!